STYLEetc, a Manchester/Cheshire based magazine which focuses on style in all aspects of life. Whether it be fashion or lifestyle, this magazine is a go to for inspiration or trend forecasting. With amazing articles, advice and more it’s no wonder I wanted to have a bash at writing for them. And writing for a magazine based in my hometown-HELLO?! Having written articles weekly for another publication, other online sources and fashion graduate pages I realised it was time to try and add another to the listing. With my serious love of writing( or rambling to some), I approached the Editor, Emily via Twitter. After a few emails back and forth and several lovely exchanges with Emily, it was all set in motion for me to write! Roll on a week later and my first article is published on their website- E.X.C.I.T.E.D. Without sayin’ any more the link is below for you to nosey at my article and furthermore at the whole website. 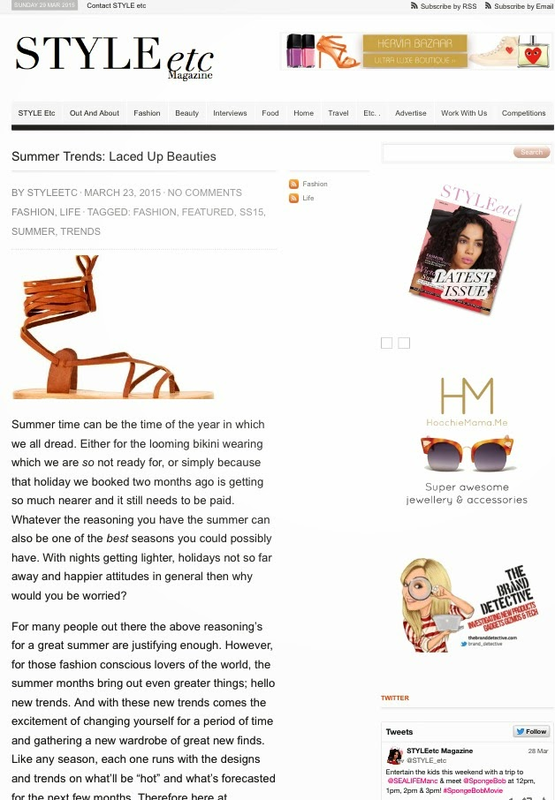 Be sure to check back each week to see more fashion stylin’, inspiration or trend analysis. Next Post Wedding wonders- roll on up Hancocks.